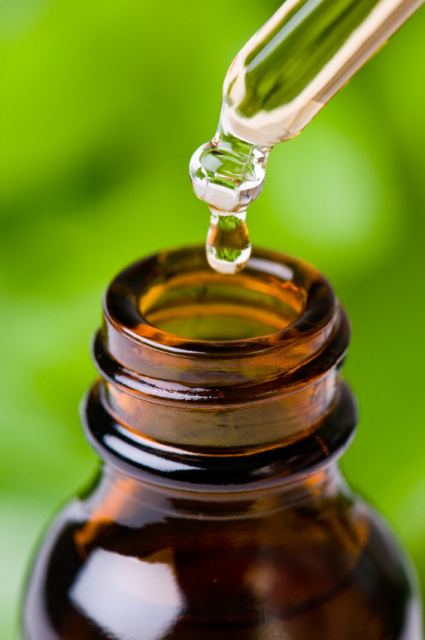 Essential oils are not only beneficial for physical health but also for psychological and emotional health, clearing the mind, energizing, calming stress, etc. If you are looking for natural home remedies for anxiety or depress. these blends target these and many other emotional issues. Read through the descriptions and select those blends that meet your needs. Helps release traumatic effects of painful memories and negative experiences of all kinds. Increases feelings of safety. Helps release anger and anxiety as well as associated physical symptoms such as headaches and muscle stiffness. Helps stabilize mood swings especially in children. Helps release anxiety, fear or apathy leading to procrastination. Helps improve confidence and a better focus on goals. This exceptionally fragrant blend is perfect for use againstnegative emotions from dysfunctional and destructive relationships. It has been shown to help with a diverse number of things like bed-wetting as well as a tendency for cystitis and urinary tract infections, headaches, heart palpitations, and menstrual cramps. A favorite blend for massage and energy therapists. Helps protect you from energy drains from difficult people. Helps increase feelings of gratitude in moments of anger, stress or depression. This this a wonderfully fragrant blend of spicy cassia (like cinnamon) and clove along with these beautiful respiratory oils—eucalyptus, mandarin, sweet orange, rosemary, and spruce. Diffusing this oil through the holidays will help strengthen everyone’s immune system and ward off cold & flu infections as well as anger and frustration. A calming blend to moderate a tendency to be over-enthusiastic or unrealistic in expectations of yourself or others. Helps bring you back from fantasy to reality. Helps increase enthusiasm for the future and balance the analytical left brain with the creative or intuitive right brain. Helpful for those who struggle with pride and arrogance. Helps improve team spirit. Great for insomnia related to negative emotions and nightmares. A favorite for children whose fears overtake them. Can be beneficial for bedwetting if the root cause is fear and anxiety. Helps balance energy and improve mood and mental outlook. It helps with various physical problems related to the cardiovascular system. Promotes wonderful relaxation that is followed by high levels of optimism, vigor and energy. This euphoric blend contains the highest spiritually and emotionally healing oils. It enhances communication and connection in romantic relationships. A wonderful massage blend. An important blend for emotional healing. Helps with acceptance of the past and faith in the future. Helps with fear of abandonment and useless worry. Promotes feelings of gratitude, tolerance, empathy and compassion. Relieves depression and helps with relaxation. These functions help to heal immune deficiencies. The number one blend for depression, grief and trauma. Stabilizes mood swings. Helps with expressing deep emotions. The aromas of the holidays bring feelings of joy and security and strong family relationships. Helps relieve the stresses sometimes associated with the holidays. Helps purify the air. Helps keep our mind and spirits focused and clear for taking positive action in life. Helps promote harmony and compassion. Helps awaken emotions of harmony and clarity allowing an increased ability to learn from the experiences of our lives. This important blend helps us release anger, frustration, resentment, despair, grief, insecurity and any other emotion that doesn’t serve you. Helpful with rebellious personalities. This blend is helpful for those with low self esteem. It is also helpful for those coping with the fear of being left alone. Helps bring us to a state of spiritual awareness. Important for pondering and studying spiritual and emotional matters. Helps us set aside world-weary concerns. Helps with feelings of contentment and faith. It takes us to our quiet place of protection and safety where we can examine life with greater judgment and wisdom and build greater trust and confidence. Creates an atmosphere of peace and quiet where we can regenerate our emotional reserves. Helps with anxiety and tension. Creates feelings of joy, peace and forgiveness. Helps us with emotional balance and acceptance. Helps us feel more accepting, tolerant, compassionate and forgiving of ourselves and others. It helps us let go of guilt and frustration. Helps us view trials with a more wise and positive perspective. This blend is useful for building physical and emotional connections after a trauma or a loss. It is useful during the anger stage of grief. It is useful for those jumping from project to project to help them be settled and focused. Promotes internal harmony. It helps us work with others in cooperation, patience and tolerance. Helps release anger, judgment and jealousy. Created for dominant personality types who become overbearing or too bound to a strong opinion or individual. This blend restores inner strength and peace. Good for calming irritability. Helps dispel discouragement and turn around feelings of helplessness. Effective for suicidal thoughts. Helps with overwhelming anxiety. A blend for those perfectionistic people who become discouraged because they continually pressure themselves to do more. It helps deal with repressed emotions and wonderful for the grieving.